I am no Rapunzel. I am just a Plain Jane ready to take on the world if I have to and I want to. Trying to think about what to write brought back memories about every hair-story that happened in my life. My hair has never been my "best friend", heck I have even come to a conclusion that I have more bad hair days than good ones. But truth be told my hair has always been the completing factor that completes my fashion statement. In fact in occasions more than one, my hair stole the limelight from me. My hair has seen the long and short of it. Although I haven't pulled a "Britney" yet, I have had super short hair when I was in college and then I started growing it back when I moved to Makati and started going to work. I have tried different hairstyles too. Blunt cuts, soft cuts, curls, waves, stark straight, name it I have tried it all. Soft, shiny and manageable–hair that begs to be touched! - This is by far everyone with hair dreams of. We’ve all seen the commercials: Women strut about in slow motion, swinging their perfect, full-bodied, shiny hair – hair that falls magically into place when the swinging stops. Is it possible to get such glorious tresses from a bottle, or is there more to the story? 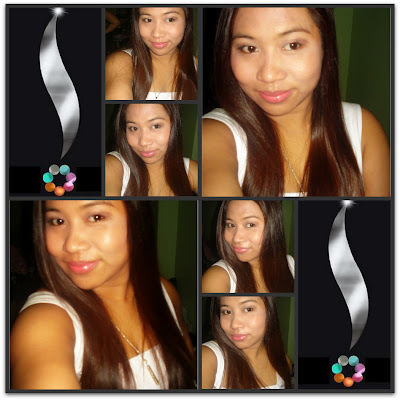 Well, I had my chance to try this product when I got a free trial kit from Sunsilk. I received the Damage Repair Kit by mail that contains the Sunsilk Damage Repair Shampoo and Conditioner with Olive Serum Nutri-Complex. Since the kit does not include the serum, I bought one separately. I have always been one who is known to try new products when they are released for market consumption amongst my circle of friends. I think I am a test bunny in my past life as I am not scared to lather, pat, massage, and smooth new products all over my body. Needless to say, I get to be an impromptu endorser if I like a product and a staunch detractor if the product is not effective. Whether they take my words as gospel or not, I would not really know but yes more often than not, they take what I say seriously. My hair grew longer month after month until I had the longest hair I have all my life already but then it didn't have the texture, look and feel that one can be proud of. I decided to switch shampoo and conditioner in the hopes of reviving my hair's appearance. I first tried the hair fall solution from Sunsilk Co-Creations (Soya Vitamin Complex co-created with Dr. Francesca Fusco) in the attempt to prevent my hair from further thinning. I got the results I expected, the number of hair fall-outs decreased by the day. I was impressed. This is one product I am sticking to and would be raving about. Cheap, readily available in the supermarket and a trusted brand. I was hooked! I would alternate using it and Sunsilk Damage Repair Shampoo and Conditioner with Olive Serum Nutri-Complex (co-created with Thomas Taw). Both products worked well for me and I could not be any happier. Now, I am enjoying my brand new hair...Take a look! Each moment we live should be our happiest moment. - Each moment we live, we need to take charge and not just face life haphazardly. I took charge and brought back my hair to life. I rescued it from the pits and danger of being cut short again. My hair, whether straight or curled, after all, is my crowning glory and it completes my fashion statement every day. Sunsilk truly without a doubt helped me achieve expert-touched and salon quality hair. Thanks to the Hair Experts! 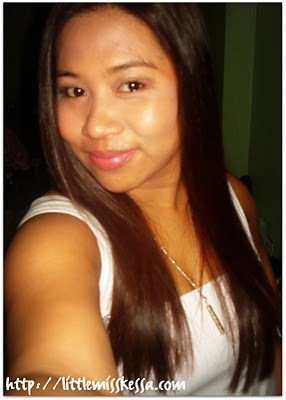 I am an "everyday girl" (not close to being a catwalk model) but with a better, more beautiful hair than before. Now, even if I style my hair anytime and every time, my fear is already out the window because I can style it all the time I want to complete each of my fashion statements. 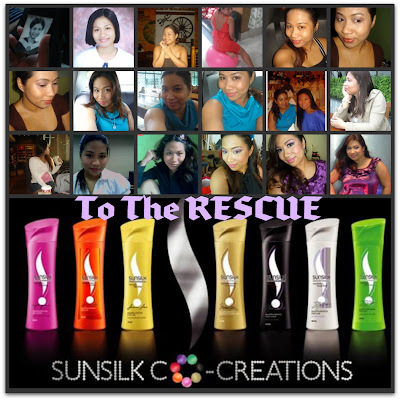 I know that the Sunsilk Co-Creations Line will be there to protect, rescue and save my hair. Now, all I need is to nourish myself from the inside to be a whole new me. Inner peace brings about inner beauty that transcends outwardly. So now, it doesn't matter much who designs my dress or where I bought it. 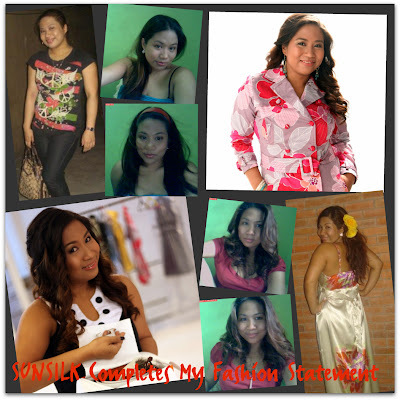 Whether I am rocking simple pants and white shirt ensemble and my Hermes Constance belt, or working the Kate Torralba pink trench coat, or a Kamiseta frock, or just simply donning on a Divisoria or local mall find, I know and I am confident that I could give justice to the look with my hair as the completing factor. 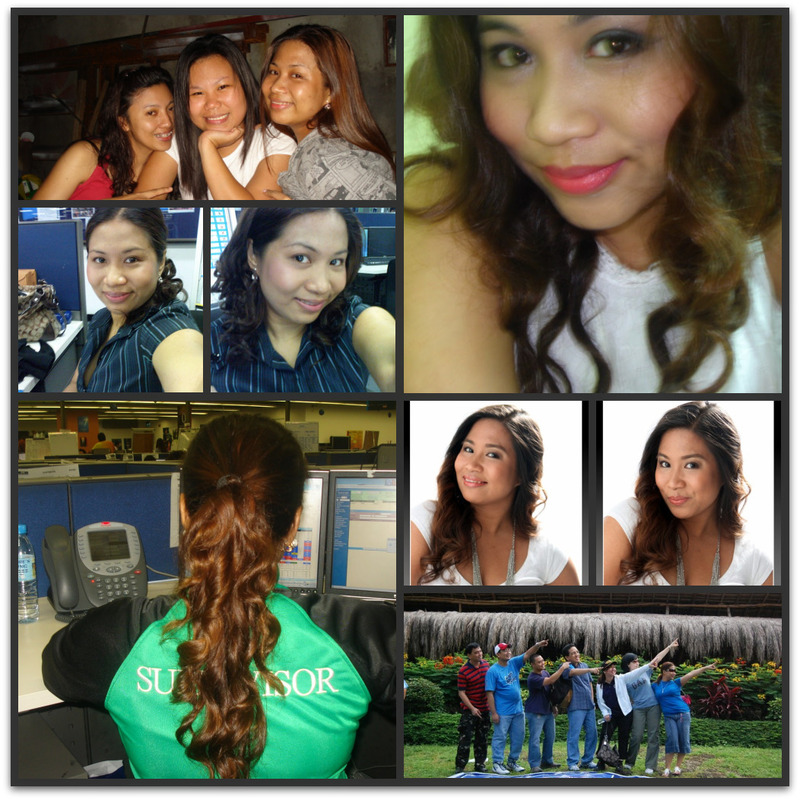 Whether I am at work or at play, Best-Ever Sunsilk Co-Creations make every day a good hair day! Now that I use Sunsilk! 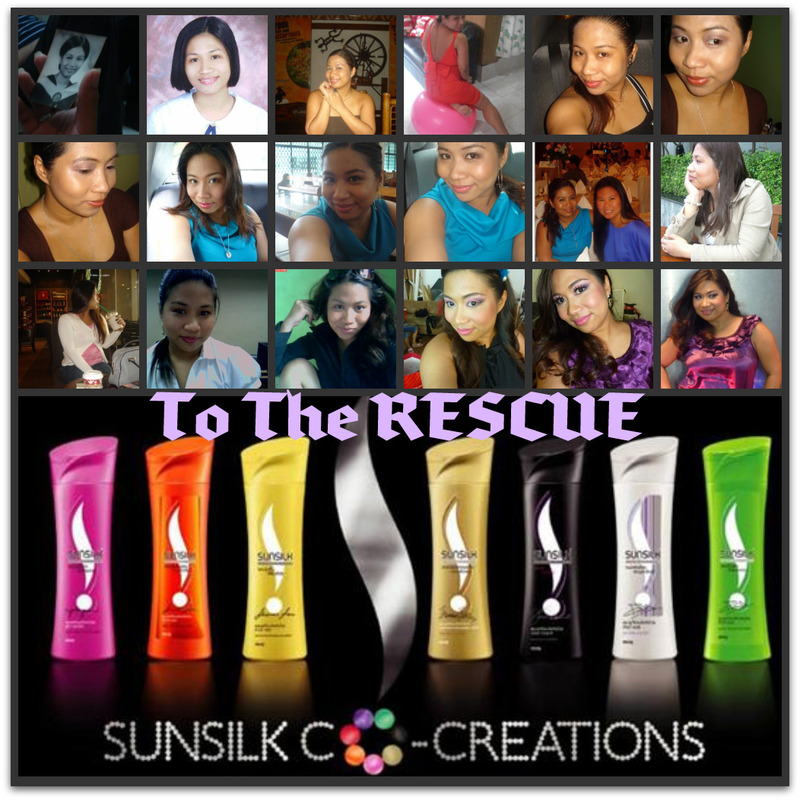 Let's hear it for Sunsilk! 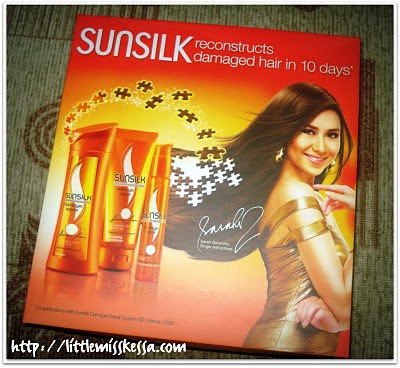 Sunsilk! Sunsilk! So I found a hair fall solution, Sunsilk improved my mane. Now I have straight hair that sways or pretty curly locks any day. Co-creations, everybody says yeah, yeah, yeah, yeah, yeah, yeah! Hahaha! That is too silly but I sure do hope you enjoyed my post as much as I made you want to try Sunsilk the next time you hit the shower. Oh, you can join me in humming the song...and start a mini-concert under the shower!